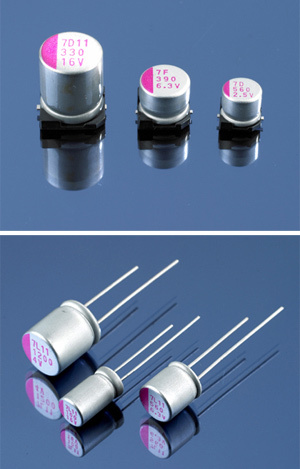 ICD provides industry leading polymer electrolytic capacitors. ICD supports one of the widest product lines of polymer electrolytic capacitors. In comparison with other manufacturers, ICD provides options for higher capacitance in smaller packages and lower ESR’s at the same capacitance. From factories in China, Korea and Taiwan, we support production capabilities for over 50+ million components per month. ICD Sales Corp. is an authorized representative and distributor for a full lineup of Polymer polymer electrolytic capacitors.